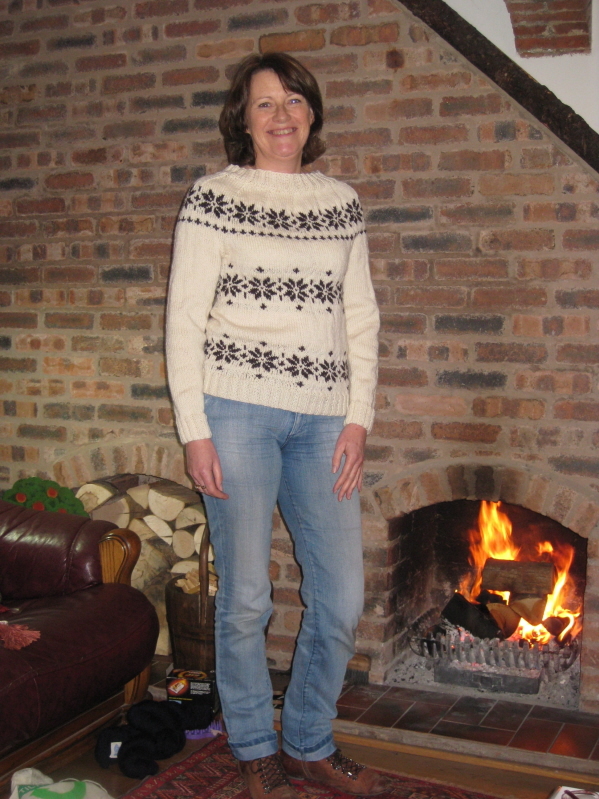 I have to say that the sweater is so warm I couldn’t stand in front of the fire for long! 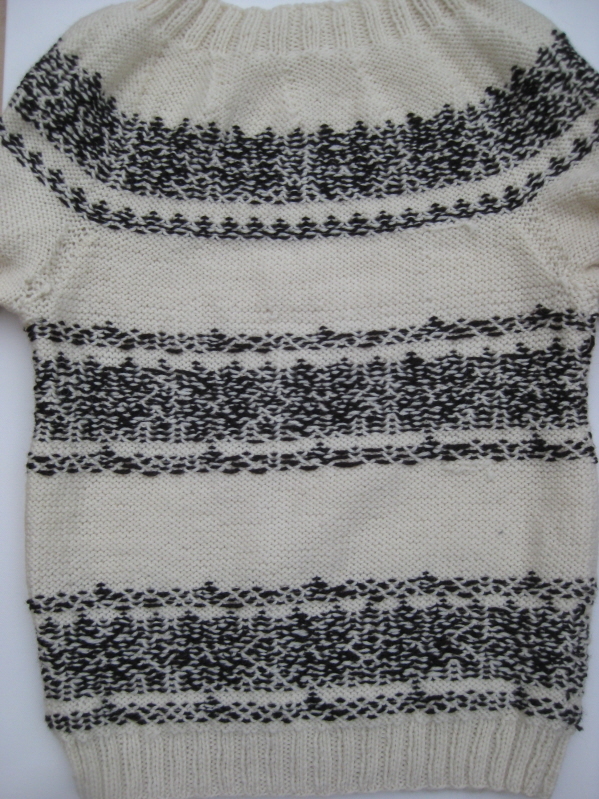 It was a pleasure to knit and grew much quicker than I thought it would. I used a shorter circular needle than recommended on the pattern (60 cm nstead of 80cm) and found that much easier to manipulate. I may have finished this one but the Killing doesn’t stop here…..
I’ve just discovered that the pattern for the red sweater featured in series 2 is now available on the Radio Times website (www.radiotimes.com) so no surprises for guessing my next project. The wool and pattern for the Series 1 sweater are already available on the Knit ‘n’ Caboodle website (www.knitncaboodle.co.uk) and the yarn for the red sweater will be available very soon. Happy knitting!